Is this.. is this a self jab at yourself Chris? Wow you made this comic? It’s amazing! Keep at it, you might even turn this into a career someday! That really has more to do with the way the system is set up than how good or not good the artist is. 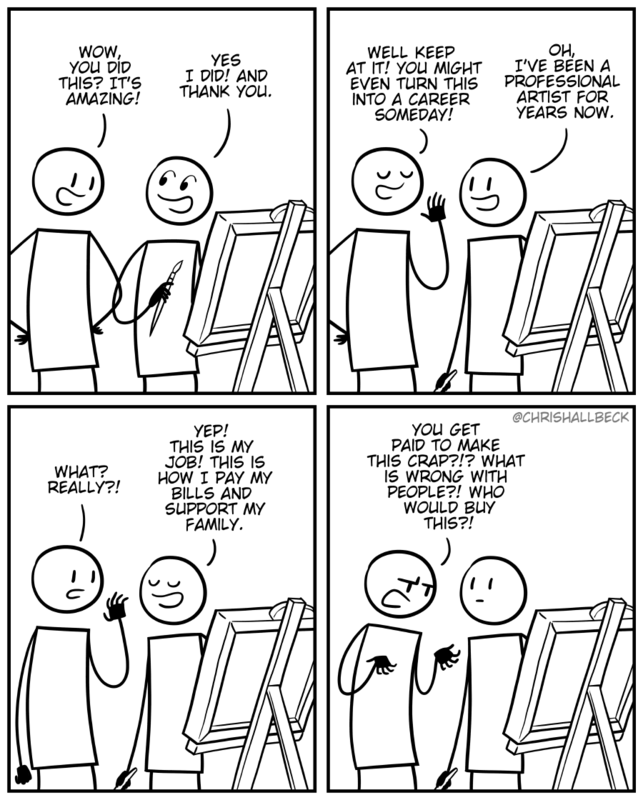 Thank things like patreon and the internet in general has allowed many artists to cut out the absurdly expensive middle men and get wide recognition in their time. That’s not in any way saying that it’s an easy living now, just that it’s no longer solely the remit of the independently wealthy and those willing to do the starving artist thing.